At Montefiore Medical Group Family Care Center (FCC), we work together with our patients to achieve and maintain their good health. Every patient receives a comprehensive evaluation and has an individualized medical team dedicated to his or her care. Our patients become our partners in their own care. 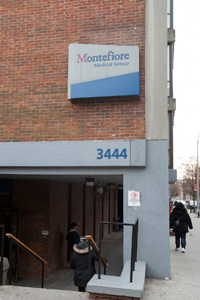 Montefiore offers best-in-class comprehensive patient-centered care in a compassionate environment that also includes leading-edge specialization. Our specialists offer a full range of care for complex and rare diseases, including cardiology, cancer, tissue and organ transplantation, women’s health, surgery and surgical subspecialties.